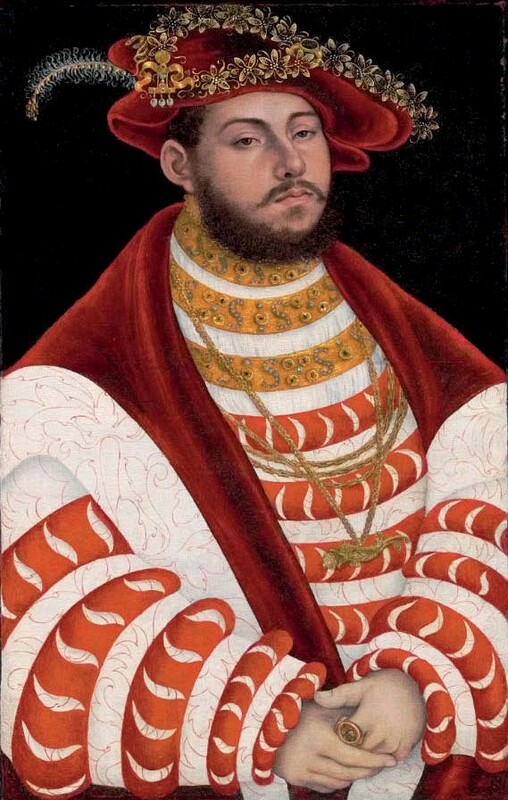 A restituted portrait of a German electoral prince by Lucas Cranach the Elder, missing for nearly 80 years, has sold for $6.6m (£4.7m). ‘Portrait of John Frederick I, Elector of Saxony’ by Lucas Cranach the Elder that sold for $6.6m (£4.7m) at Christie’s New York Old Masters sale. Portrait of John Frederick I, Elector of Saxony was recently returned to the heirs of Dutch banker and art collector Fritz Gutmann with the help of Christie’s. Gutmann’s vast art collection was stolen by the Nazis in 1940 and he died in a camp in 1944. This painting was last publicly displayed in Rotterdam in 1938. Estimated at $1m-2m at Christie’s New York Old Masters sale on April 19, the half-length oil on panel, pictured above, was top lot of the sale, selling to a phone bidder. Painted in the 1530s, it depicts the elaborately robed John Frederick I (1503-54), an electoral prince and head of the Schmalkaldic League, the defensive alliance formed by Germany’s Protestant territories. Frederick, an ardent supporter of Martin Luther and the Reformation, was Cranach the Elder’s greatest patron and a close friend when this artwork was painted. The Old Masters sale in New York, over two sessions, made a hammer total of $33.3m. The second-highest price of the sale came for a painting by Sir Peter Paul Rubens (1577-1640) of A satyr holding a basket of grapes and quinces with a nymph. It sold for a premium-inclusive $5.7m against a $5m-7m estimate. The buyer’s premium for the auction was 25/20/12.5%. 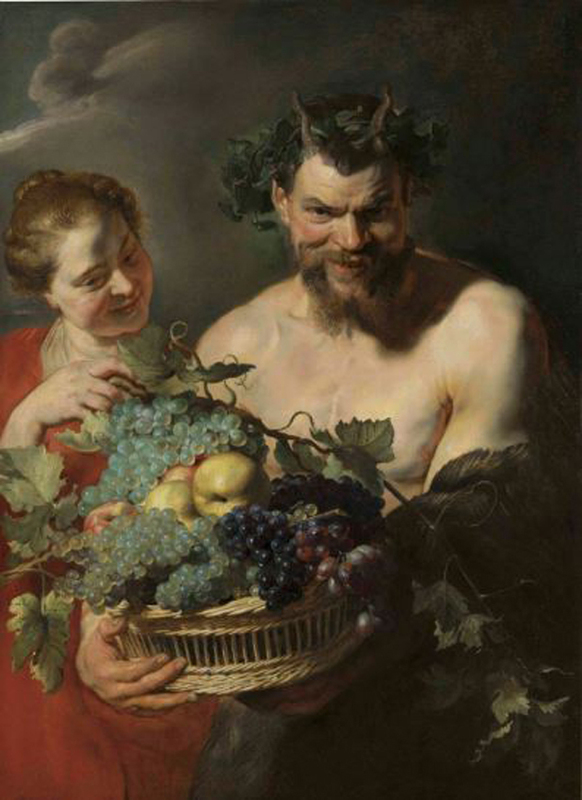 'A satyr holding a basket of grapes and quinces with a nymph' by Sir Peter Paul Rubens which sold for a premium inclusive $5.7m against a $5m-7m estimate. Image: Christie's.